In Marcia Clark's most electrifying thriller yet, Los Angeles District Attorney Rachel Knight investigates a horrifying high school massacre. A Columbine-style shooting at a high school in the San Fernando Valley has left a community shaken to its core. Two students are identified as the killers. Both are dead, believed to have committed a mutual suicide. In the aftermath of the shooting, LA Special Trials prosecutor Rachel Knight teams up with her best girlfriend, LAPD detective Bailey Keller. As Rachel and Bailey interview students at the high school, they realize that the facts don't add up. Could it be that the students suspected of being the shooters are actually victims? And if so, does that mean that the real killers are still on the loose? 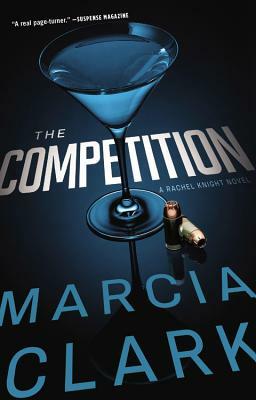 A dramatic leap forward in Marcia Clark's highly acclaimed Rachel Knight series, The Competition is an unforgettable story that will stay with readers long after the last page has been turned. Marcia Clark is the author of Guilt by Association, Guilt by Degrees, and Killer Ambition. A former prosecutor for the State of California, she is now a frequent media commentator on legal issues. She lives in Los Angeles, California.